What is the ICD-10 Code for Acquired Absence of Limb? The ICD-10 Code for acquired absence of limb is Z89. ICD-9-CM 897.2 is a billable medical code that can be used to indicate a diagnosis on a reimbursement claim, however, 897.2 should only be used for claims with a date of service on or before September 30, 2015. For claims with a date of service on or after October 1, 2015, use an equivalent ICD-10-CM code (or codes). Acquired absence of limb, including multiple limb amputation, is when one or more limbs are amputated, including due to congenital factors. Multiple extremity amputation includes the common terminology of double amputation, triple amputation, or quadruple amputation, based on the number of extremities effected. Along with amputations resulting from trauma, many individuals with multiple amputations have endured them as a result of dysvascular disease. Over recent years, amputations as a result of dysvascular disease have risen to comprise more than 80 percent of new amputations occurring in the United States every year. Currently, there are approximately 1.6 million individuals in the United States with multiple extremity amputation. 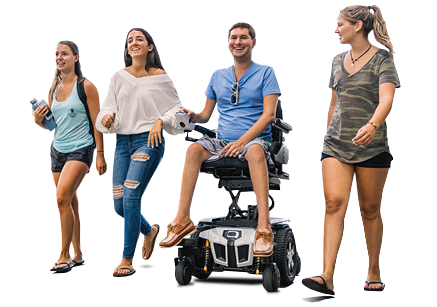 Quantum Rehab, the global leader in clinically-based, user-inspired power wheelchairs, offers technologically-advanced models specifically meeting ICD Codes for acquired absence of limb, including ICD-10 Z89. For more information, please click here.